Equine veterinarian John Kaufman DVM at Redwood Equine Practice specializes in start-of-the-art imaging, pre-purchase horse evaluations, and lameness diagnosis. 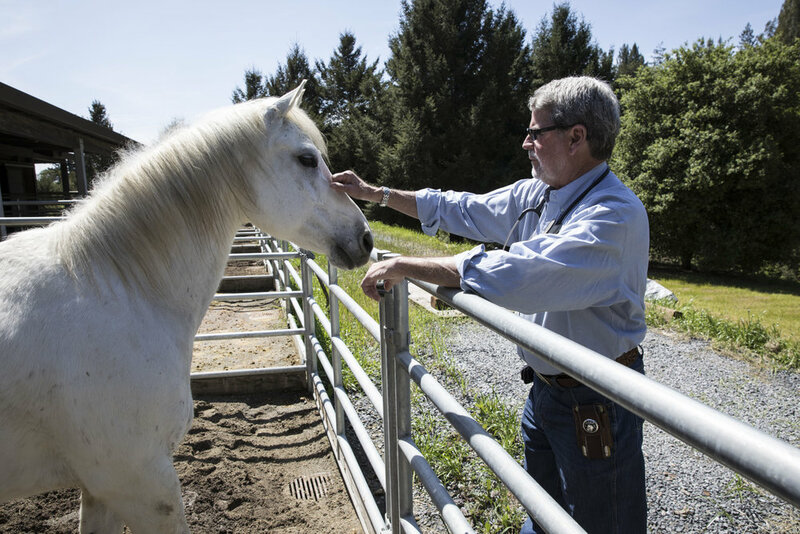 With more than thirty years experience in equine veterinary medicine and a lifetime on horseback, owner and equine veterinarian John Kaufman and his staff recognize the unique partnership between horse and rider and focus on routine and preventative care to strengthen and sustain this team. Our full service, mobile clinic offers expert, round-the-clock care and a lifelong commitment to helping each partnership achieve its full potential.